Italian priest Maurizio Pallu, kidnapped last October in Nigeria and then freed after five days, took part in Pope Francis’ Mass in the chapel of Saint Martha’s Residence in the Vatican, on November 15, 2017. 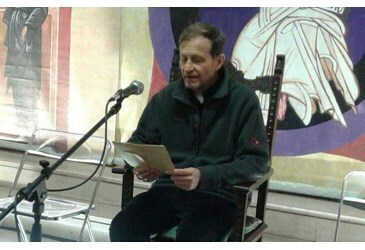 In a conversation on Vatican Radio, the missionary of the Neo-Catechumenal Way spoke about two “signs” he received from the Virgin Mary during his imprisonment. On the day after being taken hostage, “a dialogue could have been opened with the leader of the band. There were eight of them; he was the only one who spoke English. I said to him: ‘You are my brothers, I pray for you.’ Then he relaxed and he said: ‘Yes, pray for me.” He said it with conviction. “And I saw that in the subsequent situations he protected us. There was a truly bloodthirsty man in the band who struck the other hostage inhumanly, this Muslim brother . . . during the night, between Saturday and Sunday, I began to pray – moreover, the mosquitoes impeded sleeping, one slept outside – and I asked the Virgin Mary for help…and the next day the leader of the band sent that bloodthirsty man and two others away,” recalled the Italian priest.